We know you can make a generational difference in your community & we’re here to help. We are a collective of entrepreneurs who empower businesses and leaders to make an impact in their companies and communities, and reach their goals through our redemptive vision consulting. We believe in creating Emotional Architecture, where stories are considered before structures, where people are aligned with profits. Lastly, we love what we do- and that’s the most important thing. I use John’s teachings every single week of my life. He has added tremendous value to my business and thoughts. Leaders and teams come from across the country and book experiences to tackle challenges for their city or business, to gain inspiration, or to devote time to one of our intensive workshops. Click here to see which experience works for you. This day-and-a-half “deep-dive” provides leaders & teams (up to 6 team members) with the opportunity to truly stop, assess their current reality of their city, understand their opportunities and obstacles, and develop a clear vision of their preferred future for the next steps of transforming their community. Join our monthly Mentoring Calls with John Marsh & team. Best suited for visionaries with a desire to connect with like-minded leaders and peers. Click HERE for more info. Smart. Humble. Insightful. Crackles with energy and ideas. I have never met anyone like John and likely never will. His ideas are grounded in the realities of the market, of social trends, of human behavior ... he knows the power of human potential. And the potential of space and place. He sees what others don’t — not to impress people, but to empower people to go further, deeper. How Can We Help You Create Change? 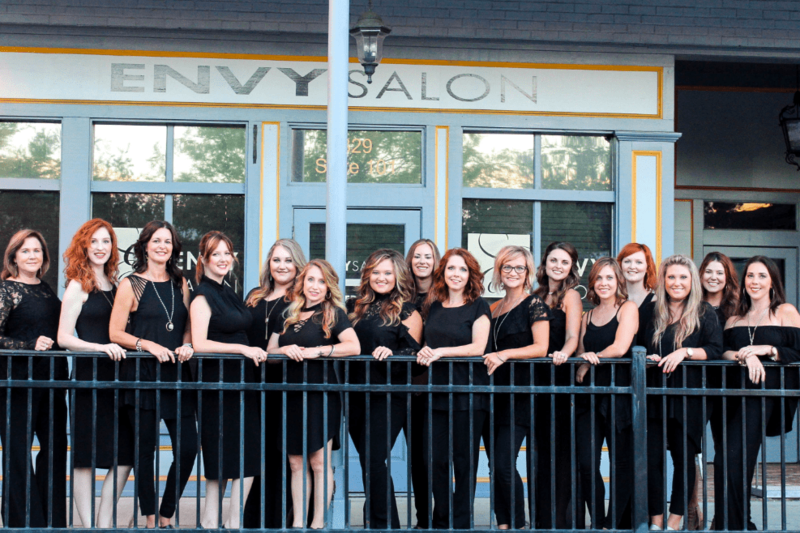 Envy Salon Auburn/Opelika 's owner Holly Surrency shares her own success story. She was one of the first businesses to relocate on Railroad Ave after the redemptive renovations of Downtown Opelika. Thank you for the excellence you bring to everything you do Holly!